You use your smartphone every day – to stay in touch with friends and organize your life. 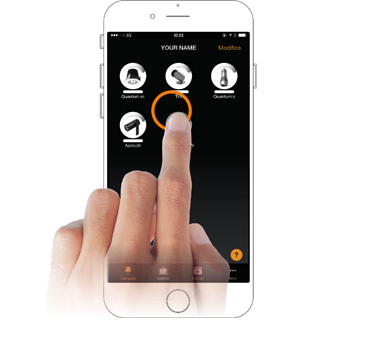 With Atmos – wireless dimmer you can use your mobile device to control your lamps. Atmos is a wireless dimmer inside the ceiling rose. You can add new functionality to your old lamps at home without any new installations. 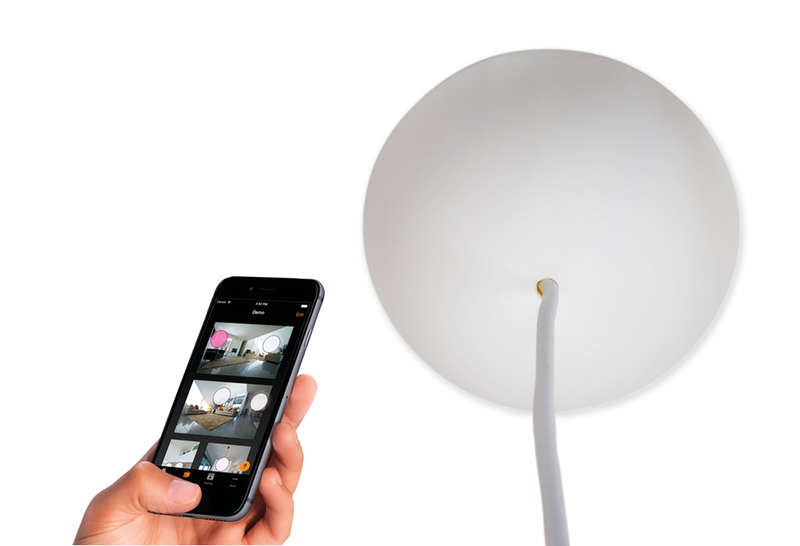 Replace your old ceiling rose with CableCup Atmos and make your lamps smart. Dim, make scenes and set the time for turning on and off your lamps. With Casambi application, it is possible to manage all the spotlights from one screen. You can control them singularly or in groups. For example, you can create a group of lights for the living room, for your office or boutique, and decide to turn them on or off all together with a single tap. 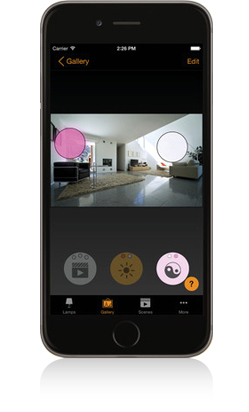 You will also be able to adjust the lighting level and create the perfect one for watching a movie. 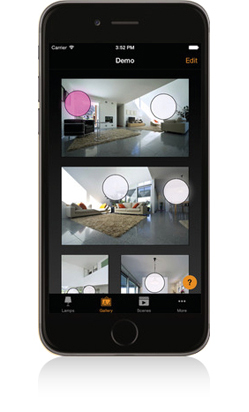 Casambi App Gallery is the easiest way to manage your spotlights. Take a picture of your room and place the lights controls upon the related pictures. Now you can visually manage the spotlights directly through the picture. It is possible to create multiple sceneries according to the atmosphere and occasion required. You can decide the most suitable lighting setup for a dinner, the perfect atmosphere for your office or for your shop sales season, and you can also save the setup as a scenery so that you will be able to adjust the lights with a simple touch on your smartphone or tablet and create the perfect lighting for a special night or a business meeting. It is possible, in fact, to decide if the network will be open to everyone or if a password will be required to access it. There is no need of new wirings, switches, devices or networks. 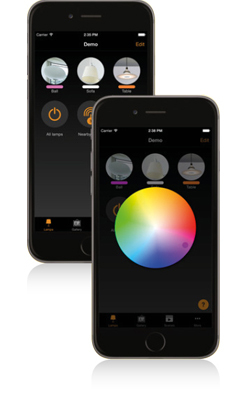 You only have to connect the lighting fixture to your smartphone or tablet supplied with Bluetooth 4.0. 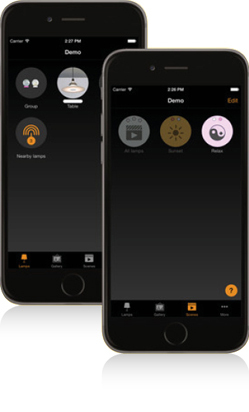 Download the free Casambi app and it will find your CableCup Atmos – wireless dimmer automatically. Just make sure to turn on the light on your wall switch and enable Bluetooth on your device. To make your lamps smart, you replace your old ceiling rose with CableCup Atmos. Connect the wires to the dimmer inside the cup and you are all set. Easy as it should be. No need for any electricians. Turn on Bluetooth. Turn on the wall switch. 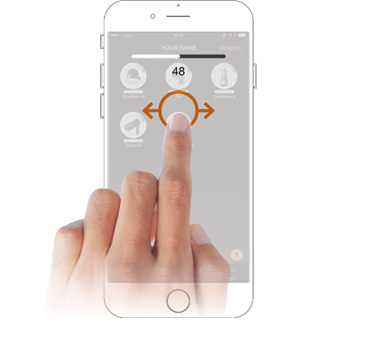 Open Casambi app. You will find the CableCup Atmos in the section Lamps. 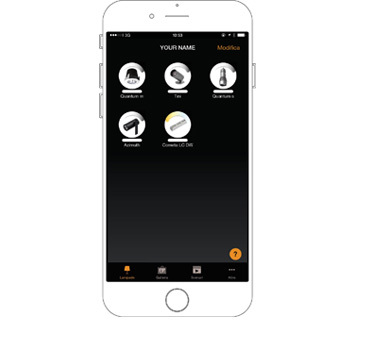 It is possible to control the spotlights with an intuitive and visual user interface, directly on your smartphone or tablet, or even your Apple Watch. If you want to control your fixtures when not at home, no problem. Leave one device at home with Bluetooth on. Connect with that device from anywhere you are just as long as you have Internet access. Tap the lamp you want to turn on or off. Move your finger to the left or to the right to control the brightness of the lamp.